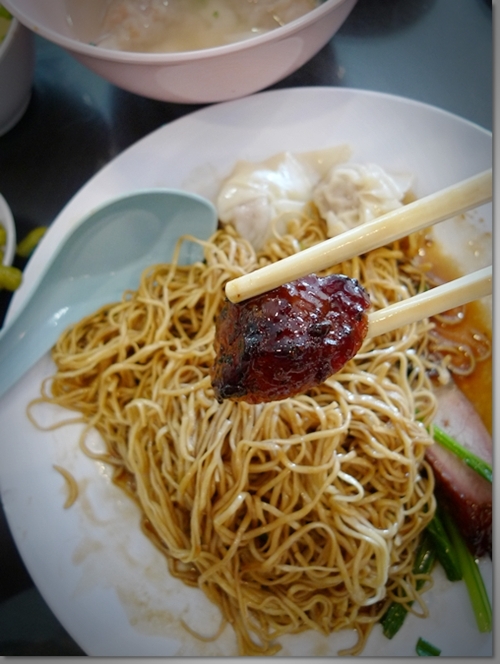 Char Siew Zhai Wantan Mee @ Paramount Garden – Life’s A Circus? 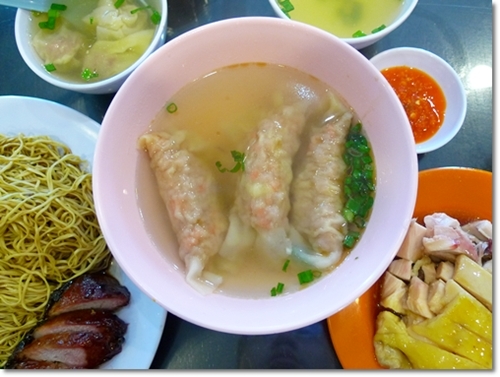 Wantan Mee is one of the most famous Chinese hawker food, and especially popular in Hong Kong, Malaysia and Singapore. 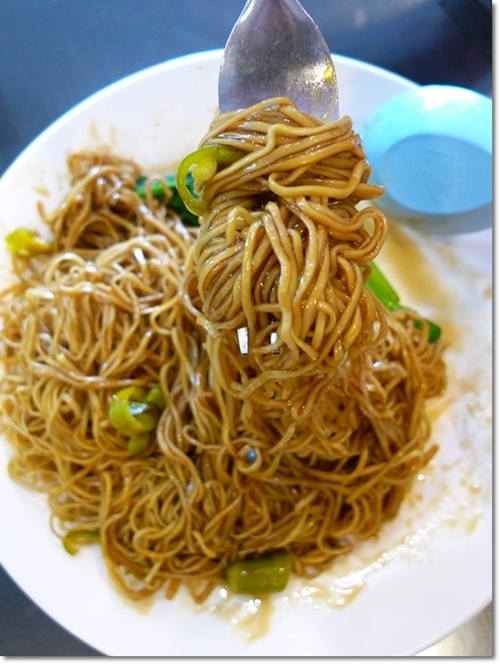 In some places, wantan mee is also known as ‘Tok Tok Mee‘, a fancy moniker given in reference to the knocking sounds of bamboo sticks made by the peddlers from the olden days, to attract the crowd. For the best Char Siew, choose the corner cuts of the belly; For that smoky, aromatic and crunchy texture all rolled into one singular, orgasmic piece. 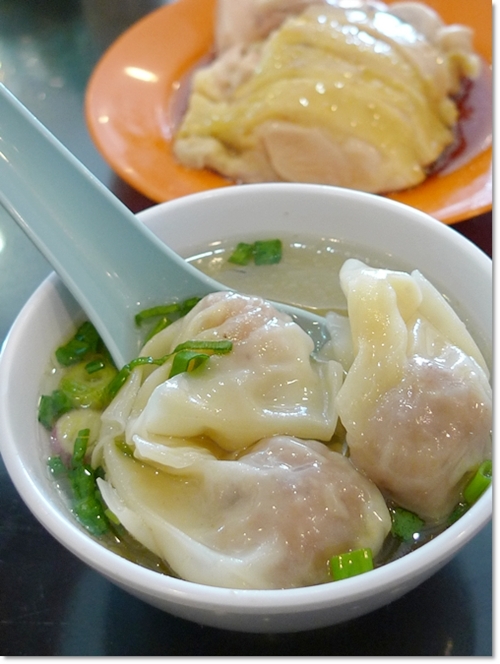 I first read about Char Siew Zhai Wantan Mee from several food posts circulating on the net. The name no doubt, sounds intriguing, whereby “Char Siew” refers to the charcoal-roasted marinated pork, while the “Zhai” part is an endearing call for “Son”, in Chinese. When you put them together, it’s as though Char Siew Zhai refers to the “Barbecued Pork Son” …. Sure gives a whole new meaning to the Chinese phrase : “Better give birth to a piece of Char Siew than you !! !” (A laden-with-sarcasm scolding usually given to an unfilial child by a parent). Read on to find out how they literally TOSS their noodles around !!! Catching some flies? Nah … It’s just the usual FLYING NOODLES. Though this outlet in Paramount Garden (Petaling Jaya old town) is run mostly by foreign workers, but one can’t deny the charm (and undeniably circus-y act) of seeing them tossing and catching the blanched egg noodles around! Yeah, not a negligible height, mind you. For he was tossing them at least a metre or two above his head! For RM4.50/USD1.20 you get a huge portion of wantan mee with char siew and wantan. Just like how Nippy Noodles in Kuchai Lama literally galloped and rode on their ultra-springy egg noodles, Char Siew Zhai emphasizes on the finished product instead, by lightly blanching the noodles in hot water, then briefly ‘bathed’ in cold water for that springy finish, and finally tossing them with much gusto, using a sieve.This last step is supposed to reduce the sogginess and ensure that the noodles stay dry. Sort of like ‘airing’ the noodles, to retain that crunch, so once served on your table, the noodles still stay bouncy. And supposedly this makes the noodles absorb the sauces better. Hmm, I ain’t no mad scientist to decipher or scrutinize the whole process thoroughly. But the end result was indeed satisfactory. The noodles was brilliant, almost the best I have tasted. Shy of serving two persons, the portions were indeed very generous, and we were glad we did not go crazy with the orders. The charcoal roasted Char Siew was delicious as well, though I wouldn’t vote theirs as the best in town. Or maybe I was served with the leanest cuts, hence did not fully savour the TRUE melt-in-mouth wonders they might be. The “Sui Kow” (larger dumplings with minced meat of pork and prawn, chopped carrots, yambean, wood ear fungus and chives) at Char Siew Zhai was passable as well, RM3 for a small portion of 3 pieces. Trust me, you can devour the noodles along, with some pickled green chillies, without any need for any of their wantan, sui kow, or char siew. All in all, I wouldn’t vote this as the BEST Char Siew Wantan Mee I have tasted ever, for I still prefer my Char Siew to be either slightly fattier (like Famous Seremban Favourites‘) or with a charred, smoky aroma (like Lenggong’s grossly under-exposed Loh Dee Wan Ton Mee). But Char Siew Zhai’s springy, crunchy egg noodles devoid of any unpleasant alkaline taste (from the lye water) was addictive, to say the least. Not bad for a brand that has graced the food scene in Klang Valley for less than a year. Opens from 8am until 10pm daily. Closed on one Wednesday every month. Tel No : 6017-689 0161. 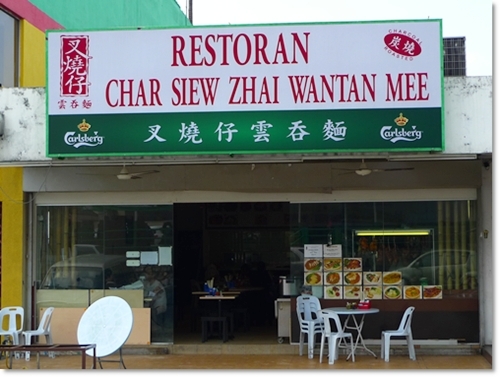 Wanna know what the others think about Char Siew Zhai Wantan Mee? 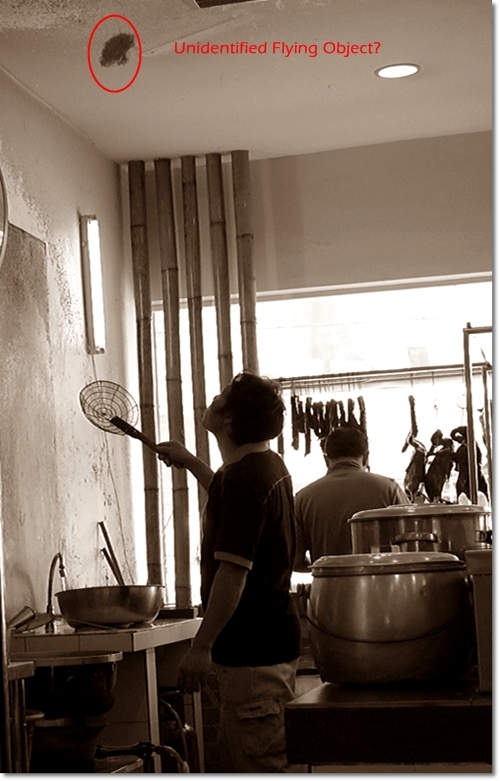 your pictures look good.. Did the SS2 branch took over the famous wan ton mee place in SS2?? I can’t seem to find it anymore.. I am not sure which one you’re referring to. Toast & Roast ah? Oh yeah, Ipoh Garden South that area. Curry wantan mee?! Aiks, there is a rather famous wantan mee stall at the corner coffee shop named Mee Sun, facing a pet shop. Eh! the noodles does look good! I hve read less than stellar reviews of this plc and avoided it since. Hmmm.. maybe i should go ASAP, cos I like my noodles smooth & soft. Oh ic …. so there are detractors as well? The char siew may not be up to everyone’s liking, but the noodles was rather good. Char Siew Zhai Aman Suria is my regular place if I need a WTM fix fast and tasty! havent even tried this and i stay in KL! I’m so going there to see the noodles toss! haha. wow.. those glistering chicken.. me like!! Is this a new shop at Paramount. Thanks for the info will try it out soon. Not exactly new though. They opened since last year the lady said. Char Siew Zhai Wantan Mee @ Paramount Garden, i’m coming over to try u tomorrow! 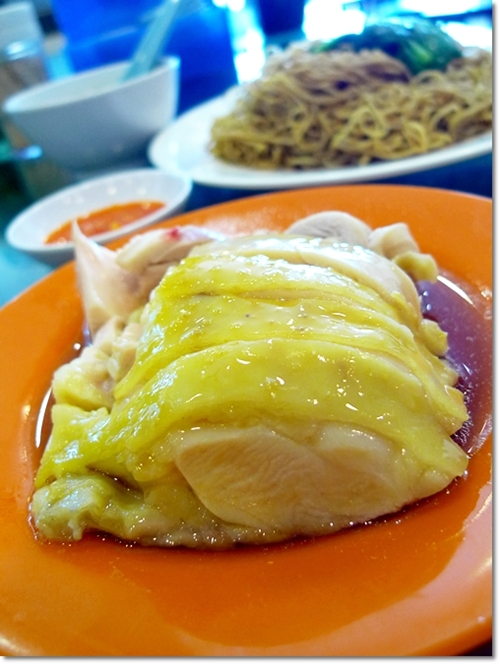 Have anyone ever tried Penang’s Wan Tan Mee, with some Loh? 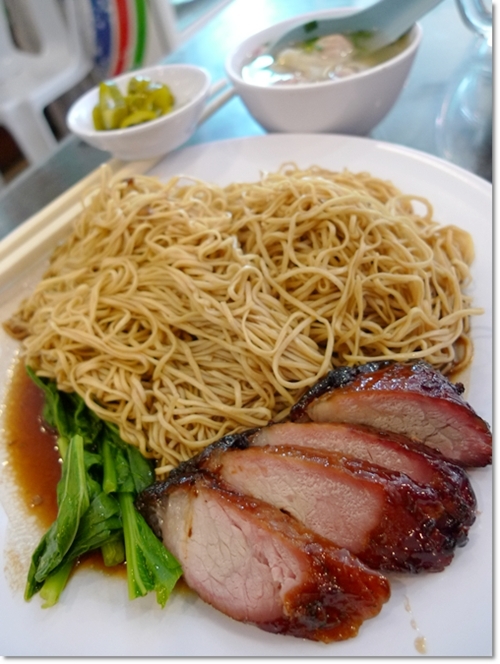 I personaly feel this “CHAR SIEW ZHAI” wan tan mee is nothing to shout about lah … the addition points its only like watching a clown cooking wan tan mee in circus only , the CHAR SIEW is very dry & hard , if I feel like eating wan tan mee in PJ I’ll for the “SEREMBAN shop” in Aman Suria. Haha … indeed, Famous Seremban Favourites is the name; and they’re opened for breakfast-lunch only. But when the craving comes, Char Siew Zhai is okay lah … not that bad. Quality inconsistent, I admit, but not dry and hard. Maybe different cuts? I went to CHAR SIEW ZHAI after reading about it on the www. It was so disappointing cause it was just ok and nothing great. I have tasted way better ones in many hawker centres. In addition i ordered the Curry Laksa and it tasted like tasteless hot water. I’m not exaggerating but it was that bad. Would not go there again. Oh ya just to add to the above.. i also ordered a plate of taugeh.. how wrong can u go with taugeh??.. even that was overcooked n tasteless.. gosh really a very disappointing lunch..